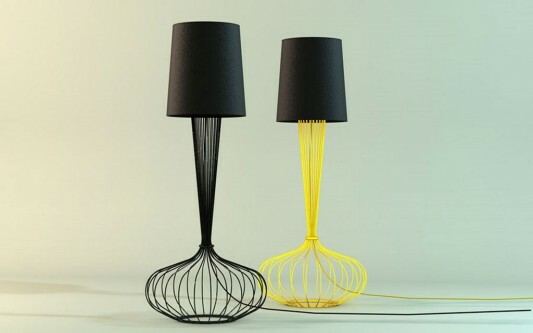 An artistic and beautiful lights, looks strong stand on the floor with a series of strong steel wire as an accomplice. 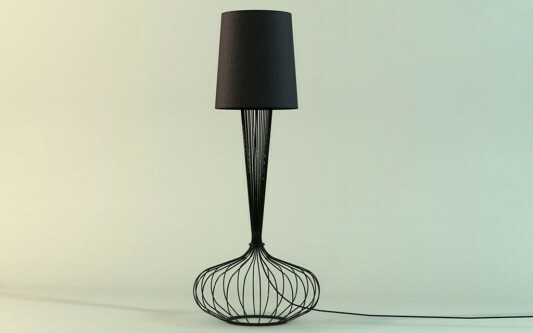 Lamp Darwin is one of a collection owned by Naif Design, this is one of their beautiful work. Comes in two colors black and yellow, looks graceful as part of your interior decor. This lamp is ideal to use in decorating a minimalist space, with a blend of soft colors matte black. Cover coated with black lights, making it look elegant, then a wire strung with conical shape bottom, and bulging at the bottom. This design provides the perfect stepping foot on a floor lamp, color cable also adjusted the colors on steel wire, so it looks an increasingly rapid assert artistic impression. In spite of its hand made metal legs, this lamp believes in theory of evolution. Want to know more information about this beautiful floor lamp products, you can visit the website Naif Design.